So this week has been rather exciting…..I've bought new props. I try to be good but I just can't help it when I see all these pretties. This little one came to see me again and she's grown so much since I did her newborn photoshoot . 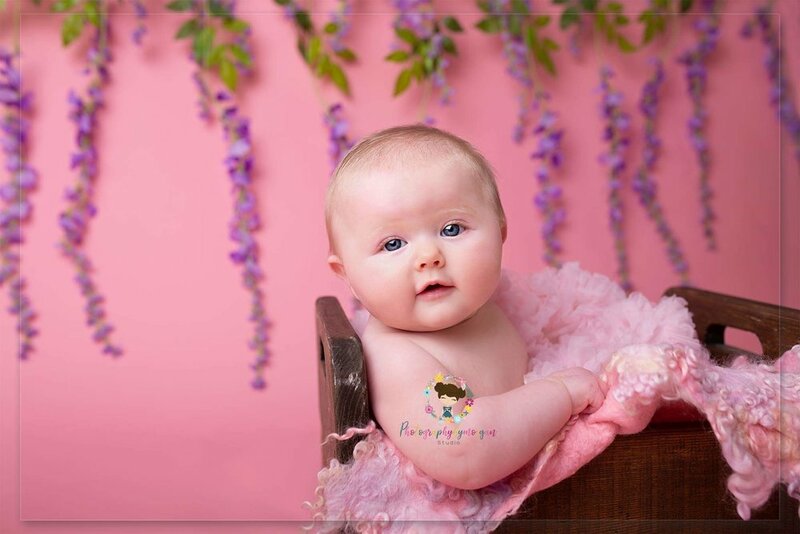 Everything came the day before her session , flowers, new backdrop and my lovely rustic bed which is mainly for newborns but it's also perfect for babies that can't sit unaided . Growing up is hard when you start high school, I know I've been there and to be honest it was probably one of the hardest times of my life. Nowadays it's different because our children have social media to add to their already testing teen years. Social media can be such a great platform for some things like communicating with family and friends we don't see often, building businesses and sometimes learning but it can have its downfalls and one of them being 'how many likes' we have on a selfie of ourselves . Why hasn't many people liked my photo? Do I not look good in it? Do people think I look ugly? Someone else has 100 likes on their photo and only 5 on mine, why? Obviously this goes alongside trying to keep up with other children at school, whether it is the right makeup, hair, clothes, gadgets etc. Life has changed so much and this generation I think will struggle with these things when they are older as we know what life was like before social media and we know we don't need likes or to be accepted online but they don't and this is worrying for their mental health when they are older. Bullying is a big common factor in these two points. Children can be cruel we know that. It's always been like that and always will but we need to remember to be kind to each other and remember we all have feelings. None of us are perfect and we all may not be this perfect beauty queen but each one of us has a beautiful quality about us and its finding that in someone and paying them a compliment about that quality you see. Doing this in person will show how much of a good person you are and make the other person feel nice about themselves. Let's try not to rely on social media to tell people things. Our future is looking sad that we will only be able to communicate through a phone or computer and our future generations won't have the social skills we had growing up. Being a photographer I see so many young girls in the studio and although I see a few that are quite confident you can also see the anxiety they all suffer and are actually very critical of themselves. Girls you shouldn't be, you are all gorgeous and unique and which is why when I photograph you I don't want you to pout or stretch your eyebrows so far up your head that you give yourself a wrinkly head. I want you to be YOU; I want to show YOU to the world. 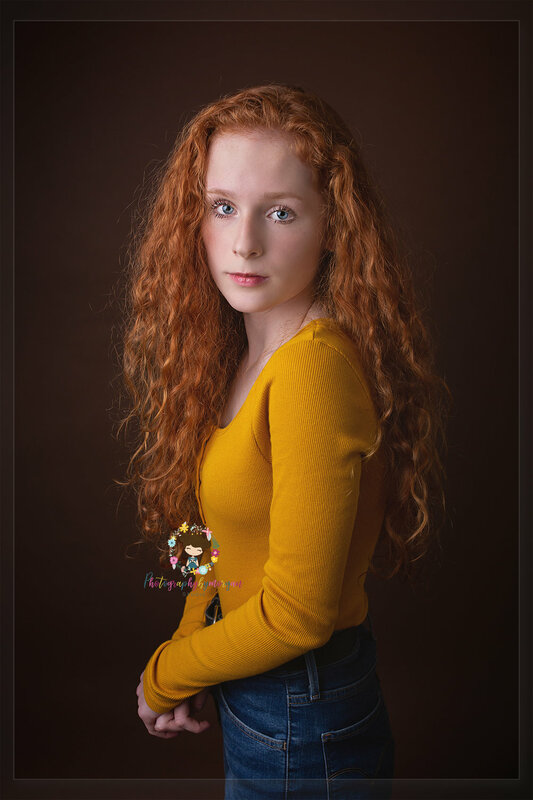 I photographed a young girl called Olivia last week and as soon as she walked in I could see she was very nervous and the more I spoke to her mum Melanie I learnt how low her self-esteem and confidence was. This girl, this young beautiful woman was doubting herself ....why? Have you seen her? She's absolutely stunning. I was so excited to get started and just looking at her I had loads of ideas for future sessions running through my head. While photographing her I was thinking how can this child be bullied, how can people be so cruel towards someone with such natural beauty? Inside it made me angry because I knew what this kind girl was going through but that anger made me want to show all these people how beautiful and amazing she is. Not only is she naturally gorgeous she is clever, kind hearted and so polite. Since taking the photos of Olivia and Melanie it has made me think of what will happen when I put these photos on Facebook, will anyone try to cyber bully? You are probably thinking why would you think that when she is so pretty. Well probably because of my own hang-ups on bullying and the fear of the past. Even though I'm over what happened through school and I'm stronger now than what I was, it's probably one of my fears for children I come across as to what comments online they could get. But obviously this didn't happen and the comments come thick and fast of how beautiful she is, her hair, her eyes ....a photographers dream as one quoted. Do you have something going on in your personal life that is making you feel angry and negative? Are you unhappy with yourself? My message to all young people is don't worry what other people think about you, don't let their actions affect your sparkle and this is the most important one, don't let them see it affect you. Hold them shoulders and head up and show the world how you shine. School is NOT forever and life is different and better when it's over but for the time being try your best, just be you and grab life by the horns as we only live once so make this life an amazing one.